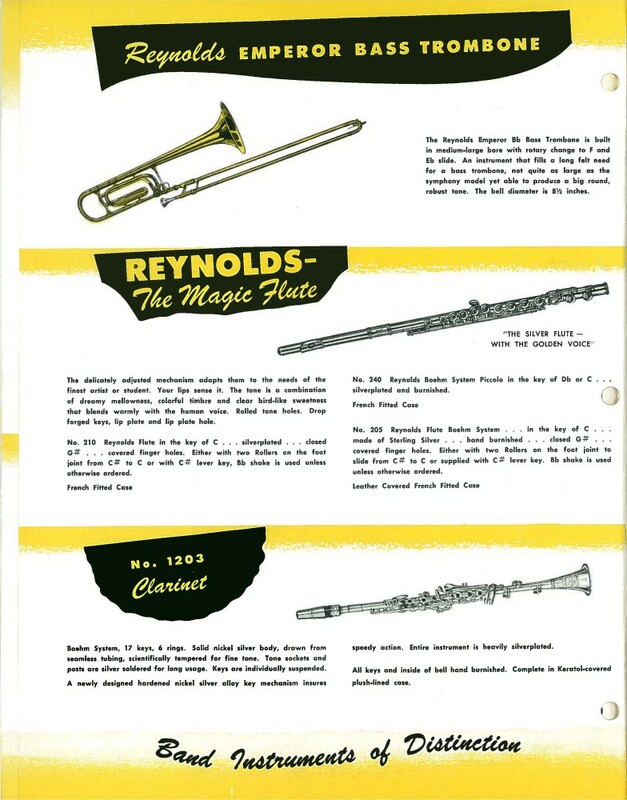 Contempora model name is used for almost all previously branded “Reynolds” instruments. 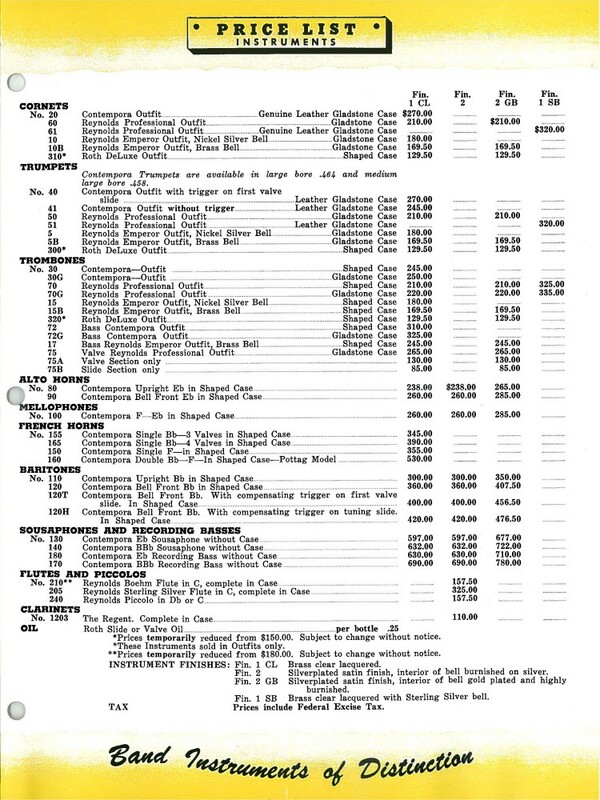 Note that the price list has been updated, but the catalog pages still refer to “Reynolds” models. The Emperor line is introduced. 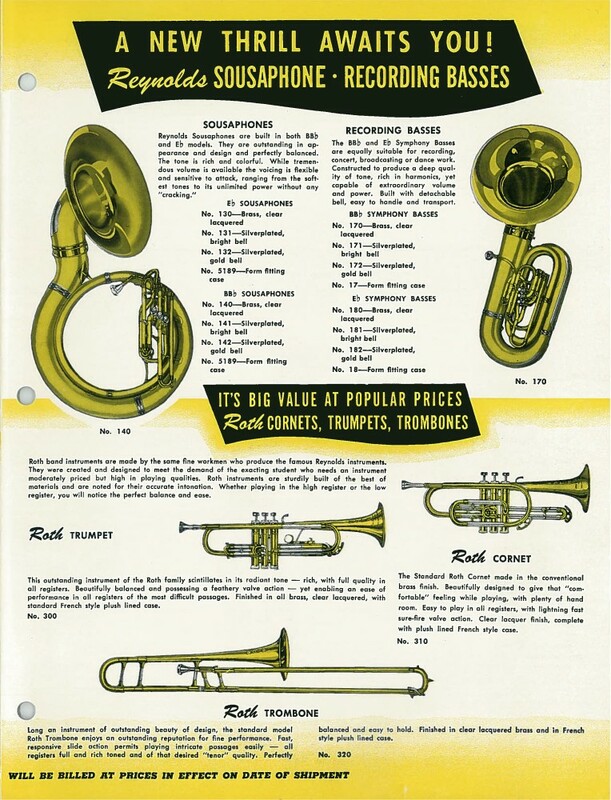 Note that the “Tone Tempered” models with nickel-silver bell flares were part of the Roth lineup in 1949. 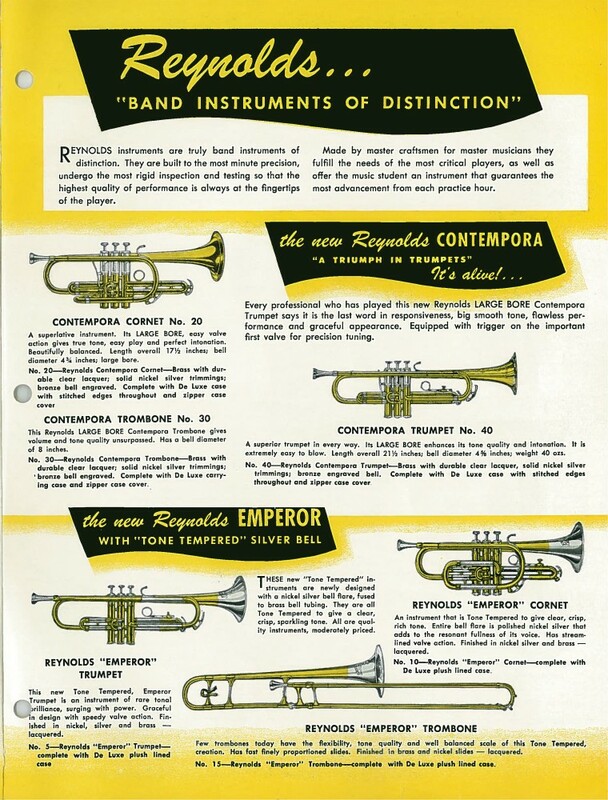 With the exception of the nickel-silver clarinet, all Regent model instruments have been excised from the catalog, despite the branding on the catalog cover. 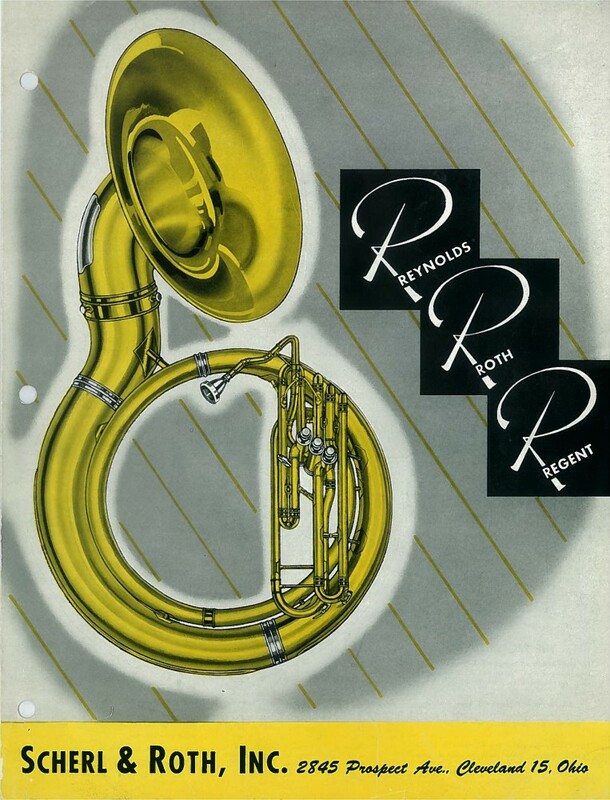 Use of the “Professional” brand name for the Reynolds cornet and tenor trombone. 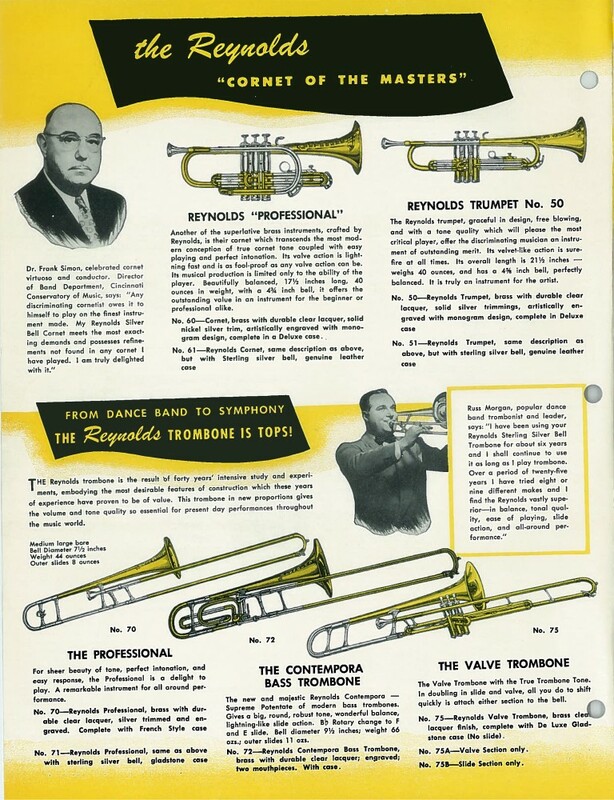 An Emperor bass trombone with “medium large bore” and an 8½” bell. 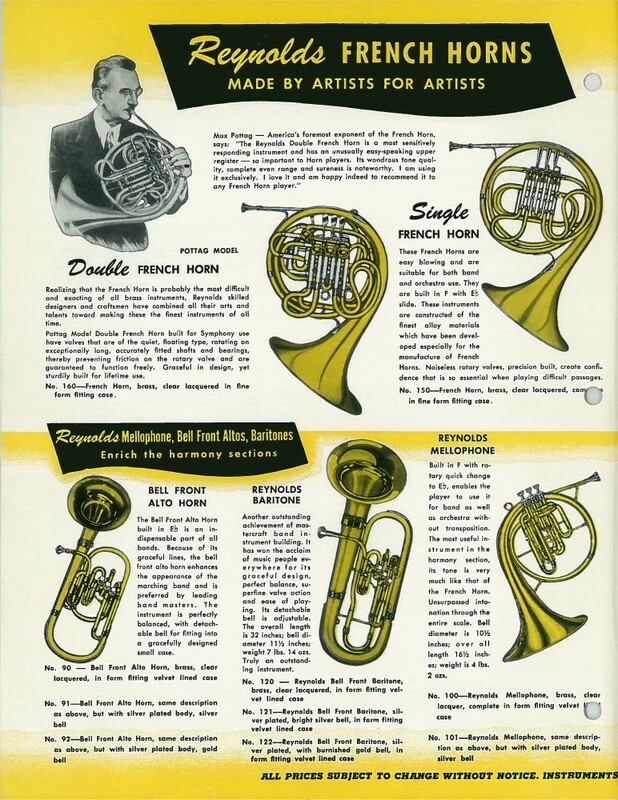 This likely was upgraded to the Professional Bass Trombone in later catalogs. 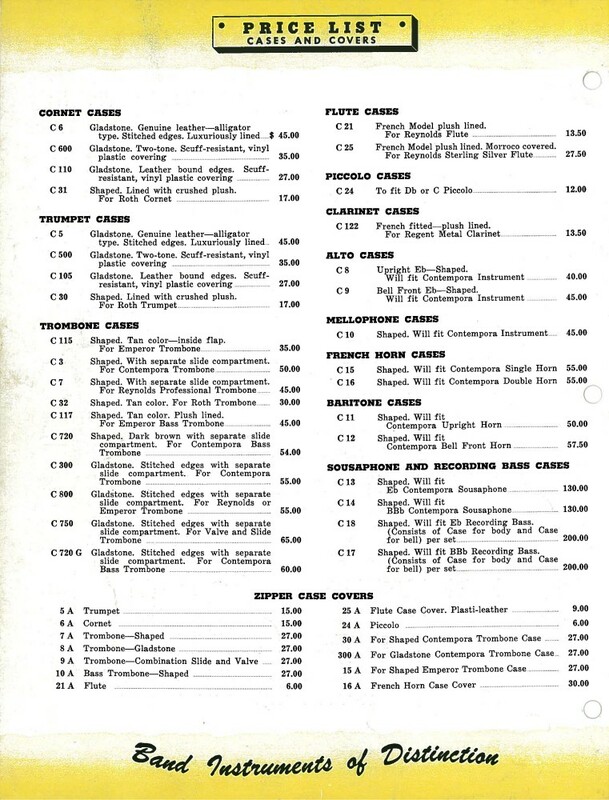 Note: Catalog provided courtesy of ElShaddai Edwards. Do not copy, reproduce or distribute without written permission.